Every Odd Fellows Lodge has a Register of Members which contains hand-written information on each member of that Lodge from the day of its institution to the present day. The name of each member, and his/her signature, is included as part of this historic book. Recently, I had occasion to serve as Secretary pro tem at one of my Lodge meetings (the Secretary missed that meeting due to another community commitment helping foster children) and as I was setting up to do my duties, as pro tem, I flipped through the pages of our dd Fellows Lodge’s Register of Members. It’s an interesting historical journey – and I recognized some names of early members who were prominent figures in the early days of our community. Our particular Lodge – Davis #169 in California – was instituted in 1870. Since the Lodge formation, I saw that 780 men and women had signed the Register of Members as of the present date. Of course, I looked through the register to find my own name and signature and found it in March of 2004 as Number 411. And then it struck me like a bolt of electricity. There were 410 members who had signed the Register before me, and there have been 370 members who have signed the Register after me. As I drilled down on these numbers, it was apparent that in the 134 years before I joined the Lodge 410 members had joined – an average of 3 members joining per year. And in the 14 years after I joined the Lodge 370 members had joined – an average of over 26 joining per year. In fact, almost as many members had joined the Lodge in the last 14 years as compared to the prior 134 years. What had happened in the last 14 years to so dramatically change the trajectory of this Lodge? 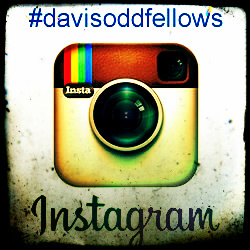 The Davis Odd Fellows Lodge had moved from a small, static and generally moribund Lodge to a fast-growing and dynamic Lodge – currently the largest in the Jurisdiction of California . For over a century, membership had eked along, and then over the past decade membership in the Lodge had literally exploded. I attribute this sea change to SIX STEPS TO SUCCESS that were put into place during the years 2005-2009 – a period of time coinciding with my 4-year tenure as Noble Grand of the Lodge. (Caveat: It’s not normally a good idea for one person to serve as NG for so long a period – but it was necessary in this case in order to change the culture and the direction of the Lodge.) These six steps made all the difference in the world. And they are not exclusive to the Davis Lodge. Any Lodge can use these six steps (or facsimiles of them) to change its direction. Here are the six steps that made all the difference. 1. A conscious decision to open the Lodge to all. 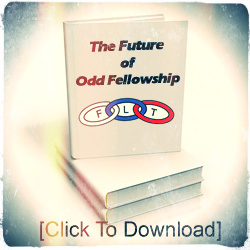 The Odd Fellows Lodge, for over a Century, had been composed almost exclusively of middle-aged or older white men. This was not reflective of our community or our State. We made a conscious decision to reach out to the community at large and welcome people of all ages, races and religious/philosophical beliefs. We have initiated folks in their teens and folks in their 80’s. We admit so many new members, that we have to schedule 3 Initiatory Degrees per year. In particular, we increased our outreach to women – encouraging many husbands and wives and boyfriends and girlfriends to join. If we admitted only men, we would be excluding 50% of our population – what’s the logic and sense in that? But we also made a point of reaching out to the great diversity of our community. We wanted the Lodge to be a big tent reflective of the eclectic folks who live here. This diversity has greatly expanded the universe of potential members, and has made us stronger. 2. A clean Lodge Hall. Just as it is important to have a welcoming home, we endeavored to have a welcoming Odd Fellows Lodge. In 2004, the Lodge Hall was old, run down, and barely used. From 2005 till 2010, a major effort was undertaken to clean up, repair, upgrade and refurbish the Lodge – including new carpeting, wood-paneling on the walls, new ceilings and chandeliers, increased storage capacity, and a stage in the Upper Hall. We used money that had been saved and we took a loan from the Grand Lodge. You can’t invite the public if your Hall is not accessible, so we made sure it was. We removed the chairlift from the railing (what message does a chairlift send to the public) and we installed a modern elevator and four accessible restrooms. We converted our kitchen into a commercial kitchen so that we could host and cater events. We undertook a protocol of preventive maintenance of our roofs, heating and air-conditioning, carpeting and other fixtures to avoid large expenditures in the future. Members of the Lodge today take great pride in their Lodge Hall. 3. Increased visibility in the community. Prior to 2005, the Lodge Hall, and the Odd Fellows in general, were virtually invisible in the community. This changed. For example, there was no signage to identify the Lodge as an Odd Fellows Hall. We installed lots and lots of new signage, including a vertical neon IOOF sign (that is, by the way, lit 24 hours) we had purchased from a defunct Lodge in Pennsylvania and had shipped across the USA to Davis. We worked with community artists to put murals up on seven of our walls – in full color, depicting local community scenes. And most importantly, when the Lodge had an activity for the public, we made sure to publicize it beforehand and put out press releases and posters. We even installed two large poster boards in front of the our Lodge which highlight events coming up at the Lodge of interest to the public. Today, the Lodge Hall is brightly lit, visible and active. There is something happening at the Lodge Hall 15-20 days every month. 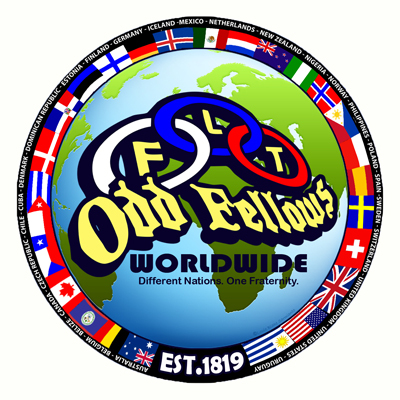 Ask most members of the community where the Odd Fellows Hall is located, and they can tell you. 4. The Committee structure to serve the community and to have fun. A keystone to our success is the creation of a strong Committee structure. Now, every Lodge has some committees required by Code (e.g. Finance Committee, Visiting Committee, Bylaws Committee) and most Lodges conjure up one or more other Committees to accommodate administrative tasks or Lodge Hall maintenance. But in Davis, we embraced the Committee concept with both arms. We currently have over 50 Committees. Some of them have administrative functions, but most of the Committees are either for community service (e.g. Bingo Committee, Adopt-a-Highway Committee, Music Committee, Community Support Committee, Classic Film Festival Committee, Davis Chocolate Festival Committee, Taste of Davis Committee, Breakfast with Santa Committee, etc.) or internal so that Lodge members can have an active social life (e.g. OddtoberFest Committee, New Year’s Eve Party Committee, Needlework Committee, Halloween Party Committee, Gaming Committee, Cigar Lounge Committee, Ping Pong Committee, Take a Hike Committee, etc.) When Lodge members express an interest in launching a new Committee, we encourage them. Committees are given annual budgets, if needed, and then are allowed to “do their thing”. Lodge meetings at the Davis Lodge rarely have “old business” or “new business” – 75% of the meeting is taken up with Committee reports. 5. The creation of the Pledge Process. We decided that we didn’t want to make it too easy for folks to join our Lodge. Instead, we wanted them to learn about Odd Fellowship, and our Davis Lodge and earn admittance as a member of the Order. So, we created a Pledge system and a Pledge process. When a man or woman submits an application to join the Lodge, they are considered a “Pledge”, placed in a group with other Pledges – we have three such groups each year. (Did you know that the Initiatory Degree was once historically known as the “Degree of Trust”?) The process of joining our Davis Lodge takes 4 to 6 months. During that time period the applicants must read a “Pledge Book” (full of information about the Lodge and the Order), must interview a minimum of 13 Lodge members (a great way to break the ice and meet members) and must attend a minimum of 8 social meetings and Lodge events. Through this process, they learn a lot about the Lodge and when they are finally initiated, they appreciate membership even more. Attending their first meeting as a member does not scare them away. They are knowledgeable and enthusiastic about continuing their journey in IOOF. 6. A positive attitude, and a rejection of negativity. None of the above works if the Lodge is an uncomfortable place of bickering and negativity. No one wants to come to meetings to be distressed. No one will join a Lodge (or stay long as a member of a Lodge) where negativity reigns. We resolved early on to be an island of peace and enjoyment – a place to escape the turmoil of everyday life – just as early Odd Fellows envisioned. Rumors are immediately quashed. Negative comments are not welcomed. Every idea – particularly ideas from new members – are encouraged. Let me give you just one example. Years ago, a member proposed that the Lodge try to set a Guinness World Record. In other Lodges, this idea would not have gotten to the starting gate and would have been shot down as “that won’t work” or “it’s too much trouble”, or simply, “that’s stupid.” In our Lodge, we said, “Fine, let’s form a committee and see if we can do it.” Well, it took almost a year of work and planning by the “Bicycle Parade Committee”, but we did it. The idea ultimately involved thousands of people in our community, and generated lots of interest from television, radio and print media. Great publicity for our Lodge. And in the end, the Davis Odd Fellows Lodge set a Guinness World Record for most bicycles constantly moving in a single line. These Six Steps to Success really do work and – in time – will allow your Odd Fellows Lodge to grow and prosper.